Kathleen is a board certified Women’s Health Nurse Practitioner and Lactation Consultant. Born in Richmond, Virginia and raised in Loudoun County, she made her way back to Richmond to attend Virginia Commonwealth University! She holds a BS in nursing and an MS in nursing (women’s health), both from VCU which she earned in 2007 and 2011, respectively. After graduating with her BS, Kathleen worked as a labor and delivery nurse at the VCU Medical Center for 6 years. While working in this role, Kathleen had the privilege of caring for low and high risk women, providing antepartum, intrapartum and postpartum care. Upon graduation with her Masters, Kathleen served as an assistant clinical professor of nursing at VCU in the undergraduate and graduate programs. During her tenure at the School of Nursing, Kathleen was the principal investigator on research efforts determining the effect of lay childbirth support on birth outcomes for low socioeconomic status women and families. She comes to Physicians and Midwives from CrossOver Healthcare in Richmond, where she has served as the Director of Nursing and women’s health nurse practitioner providing clinical oversight for the clinic’s obstetric program. Kathleen believes that all women are deserving of a compassionate, holistic and evidence based pregnancy and childbirth experience. Her passion is obstetric care for both low and high risk patients, and she takes great pride in making sure that patients are fully informed and participatory in their care so that their individual decisions are respected and supported. She holds special clinical interest in pre-conception counseling, contraceptive counseling and breastfeeding education and support. 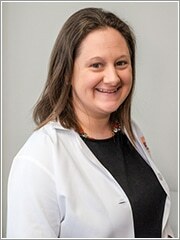 She is a member of the Sigma Theta Tau Honor Society of Nursing, the Virginia Council of Nurse Practitioners, and Nurse Practitioners in Women’s Health. When she is not working with women and their families to achieve optimal health and wellness, she is with her own family! Kathleen has two children, Mathilda and Jack, who keep her on her toes and laughing. Kathleen enjoys reading, trying new international cuisine (though don’t ask her to cook! ), international travel and studying foreign languages.